Lance D. Rich, JD, is a shareholder and member of the firm’s Adoption and Litigation sections. Lance has represented adoptive parents, birth parents, and adoption agencies in all kinds of adoption cases. Having adopted three children, Lance has a personal as well as a professional perspective on the adoption process. He is an active proponent of adoption and serves on boards of directors for United for Adoption, Utah Foster Care, and the Utah Adoption Council. 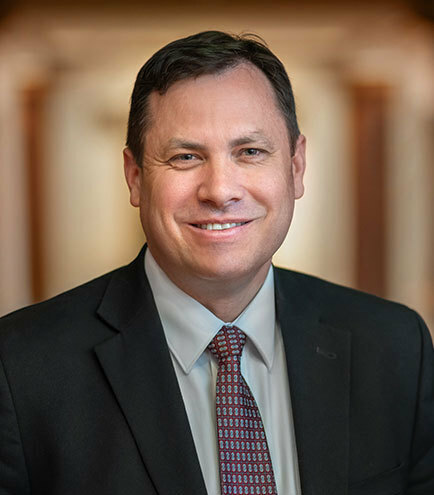 He is also an active member of the Academy of Adoption and Assisted-Reproduction Attorneys and serves as the chair of the Academy’s agency committee. Lance has been a frequent presenter on a variety of adoption topics for conferences and seminars sponsored by organizations such as the Utah State Bar, the Utah Adoption Council, the National Business Institute, the American Academy of Adoption Attorneys, and the International Society of Family Law.